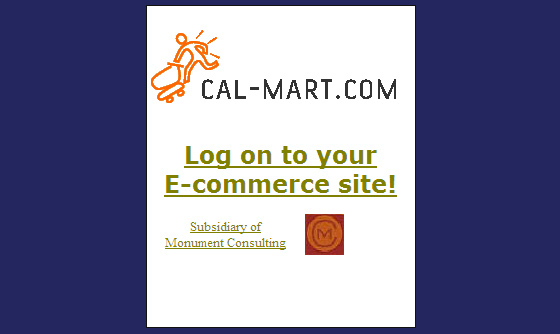 Cal-mart provides shopping cart based websites hosting and e-commerce related services. Combining commerce, search engine optimization, and traffic analysis all within one simple interface. IBCnet developed multiple ecommerce stores based on this custom developed application. Classic ASP, VB.net, Access DB,MSSQL 2005, CSS, HTML, and Java Script.